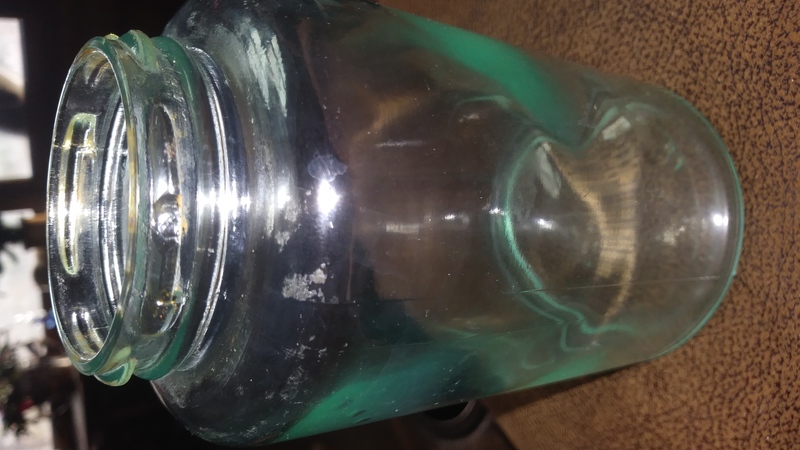 I just got this older jar in a bunch of mason jars purchased at an auction. 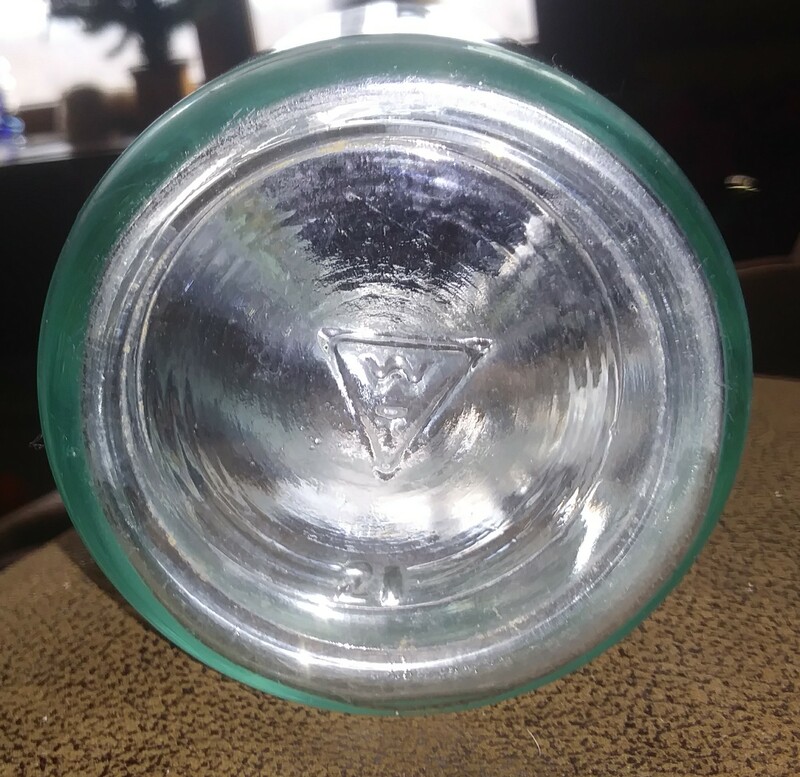 So far I have determined it is from Whitall Tatum by the triangle and W over a T on the bottom. I has a seam on either side and screw on lid. I can feel a little bit of the seam on the inside on one side. The seam continues to the top of the screw on at the mouth. 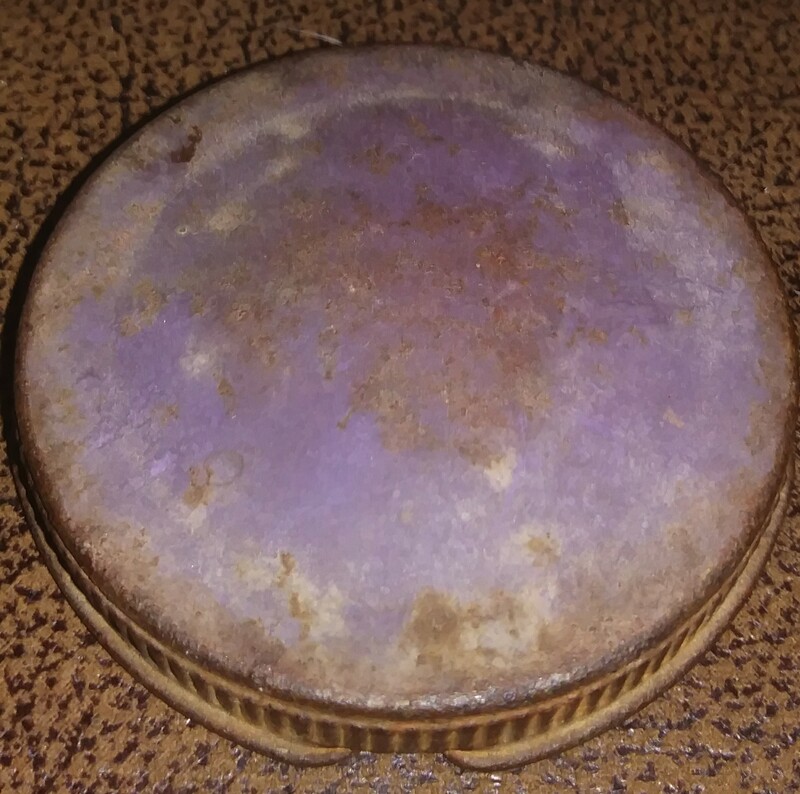 The lid looks pretty old with a rubber seal inside. 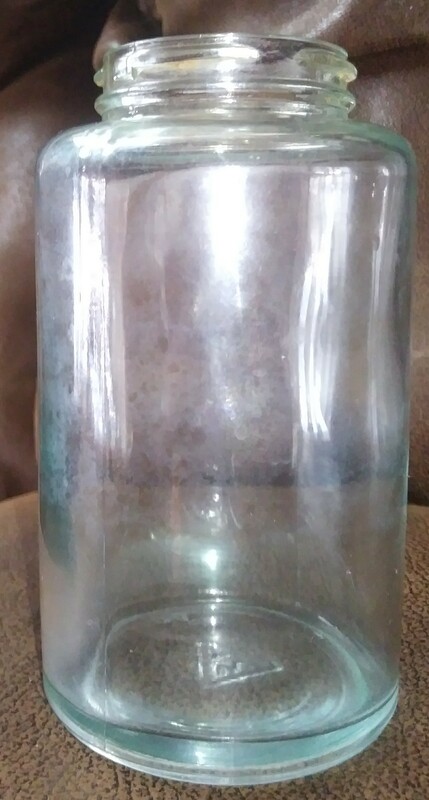 It is probably just over a pint in size. It is fairly clear with a hint of green. 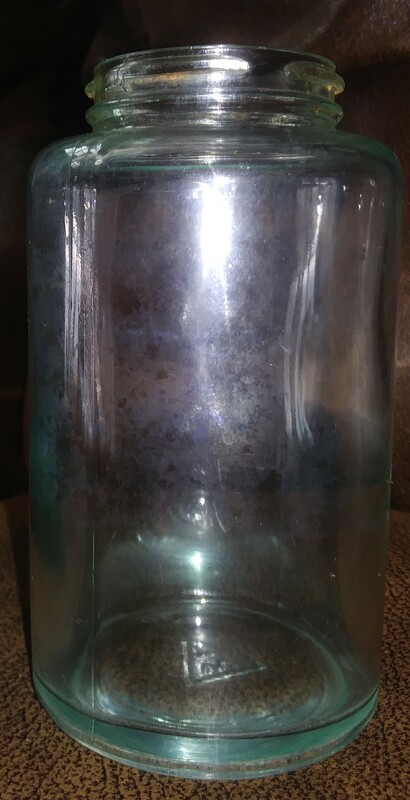 Other than the glass maker's mark, I can't find any more info on it. Can you be more specific about why you are unable to post photos? I only have an Android. They upload, then it gives me an error when I post or save. I can only use the dropdown to uplad. The attach file does not shpw a file. 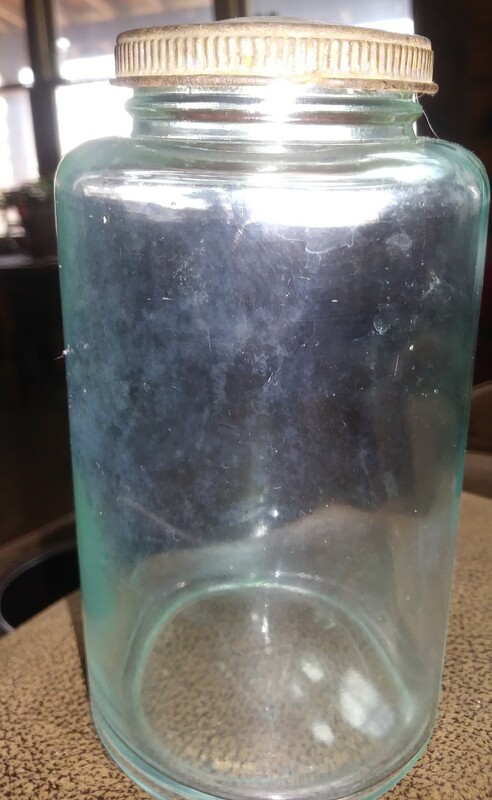 Could be a canning jar, could be a product jar, but without embossing, it will be hard to go anywhere...perhaps an old WT catalog might shed some light on the use. 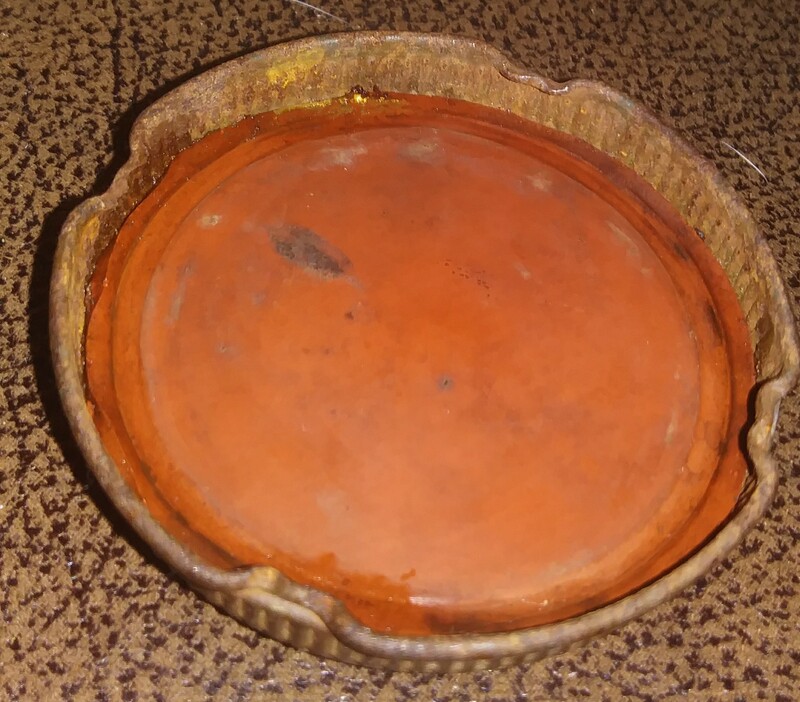 The Red Book of Fruit Jars does have a small section devoted to unmarked jars but I do not see anything similar to this in my copy of Edition #8.